Fill out our simple form and get quotes from local mobile archery hire companies. The historical sport of archery will make you feel like Robin Hood (or at least one of his merry men!) An archery experience is a fantastic team activity for those of all ages. Archery hire and mobile archery equipment and tutors are available to attend your event. Archeryfun4all offer a safe introduction to Archery using foam tipped arrows. We are available for all sorts of events in the Lincolnshire area. Fully insured and have public liability insurance. This classic country sport is both challenging and rewarding. You will receive one to one tuition on how to use our recurve bows followed by a head to head competition to see who can score gold. Let your inner Robin Hood come out for the day as you practice your target skills. This is a great opportunity to base a competition for the day around this challenge. 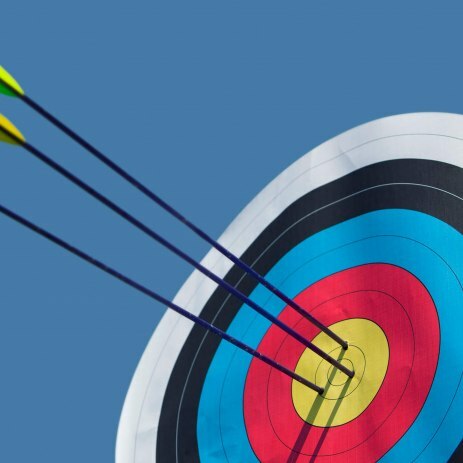 Our qualified archery instructor will encourage players and teach them how to hold the bow, how to shoot and set-up a variety of games to suit your event. Take your stance and draw your bow, will you hit the target? Maybe you’ve always wanted to give archery a go, or perhaps you want to brush up on your skills? Either way an archery experience could be a great choice for your event entertainment, activity or team building. An experienced instructor will provide all the mobile archery equipment needed, along with expert knowledge, tips and advice. Safety’s first with archery hire, but fun is a close second! Perhaps you have a hidden talent, so why not give it a go? Find mobile archery suppliers in your area who can create an archery experience perfect for your event.